Those of us who live in the UK don’t always appreciate the beautiful country we live in. We’re often trying so hard to escape the UK for a ‘holiday’ that we neglect our own tourist attractions, yet there happens to be quite a lot on our UK door-step to admire and enjoy. Wales, hosts more medieval castles than anywhere else in the Europe, and those who live in Wales are outnumbered 4 to 1 by sheep. Author of the BFG, Roald Dahl, James Bond movie singer Shirley Bassey, ‘It’s not unusual’ singer Tom Jones, athlete Colin Jackson and actress Catherine Zeta Jones are a few well know figures who were born on welsh soil. Wales also holds Europes longest place name, Britain’s deepest cave and oldest tree – interesting facts! Harlech Castle – one of Edward I’s ring of 13th Century fortifications around North Wales. Spinach, nut and mushroom lasagne. The rumours are true, the Welsh are very generous indeed with their serving portions! More books up for grabs whilst eating lunch! Got a train to catch…. The longest complete bridge in Wales, built in 1867. It was such a hot day, I felt like doing the same…. Who would have thought there’d be so much beauty in a reservoir! 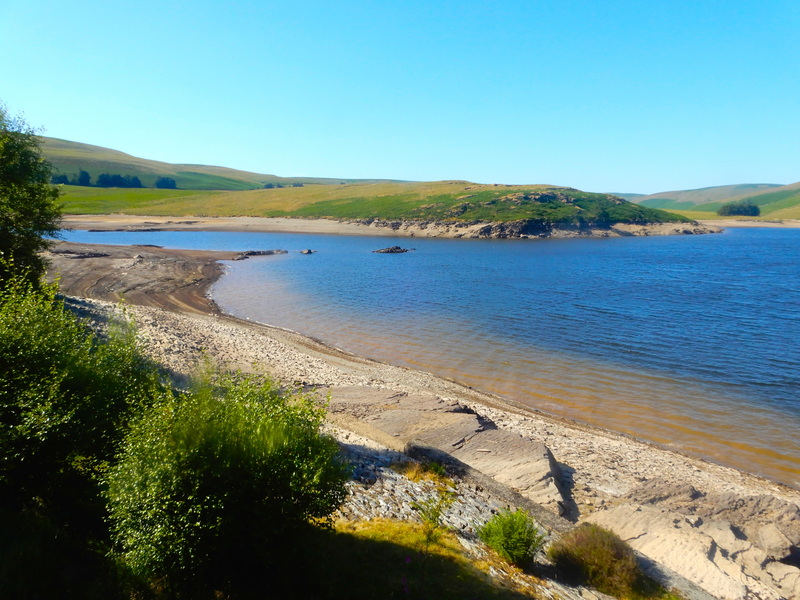 On a beautiful sunny day, driving around the mid Wales landscapes of the Elan Valley reservoirs was an absolute pleasure. The reservoirs were all man made over a century ago, along with their dams. Since this year’s UK summer has been ‘uncharacteristically’ hot and dry, we didn’t get to see the waters overflowing, but as you can see from the shots below, the views were still perfect! I have not been in Wales in over 18 years! Great photos. I use to hangout in Newquay as a teenager. I think the prettiest coastal village is Aberaeron, but I’m a Cardigan girl through and through. Aww, thanks for taking a look – Canada is certainly one on my bucket list, the varied scenery across all the different parts (rockies, Niagara, Jasper, Montreal etc) is a visual banquet waiting to be devoured. Canada, Venice and somewhere to see the northern lights are on my bucket list.